It's no surprise Porter is a staff and volunteer favorite at Best Friends! The gentle giant leaves an impact on everyone he meets because, despite his size, he is a sensitive senior. His big puppy dog eyes and extra close cuddles could melt anyone's heart! He's a total intellectual. Agility: Check! Nosework: Check! Always down to learn a new trick or command: Check, check! 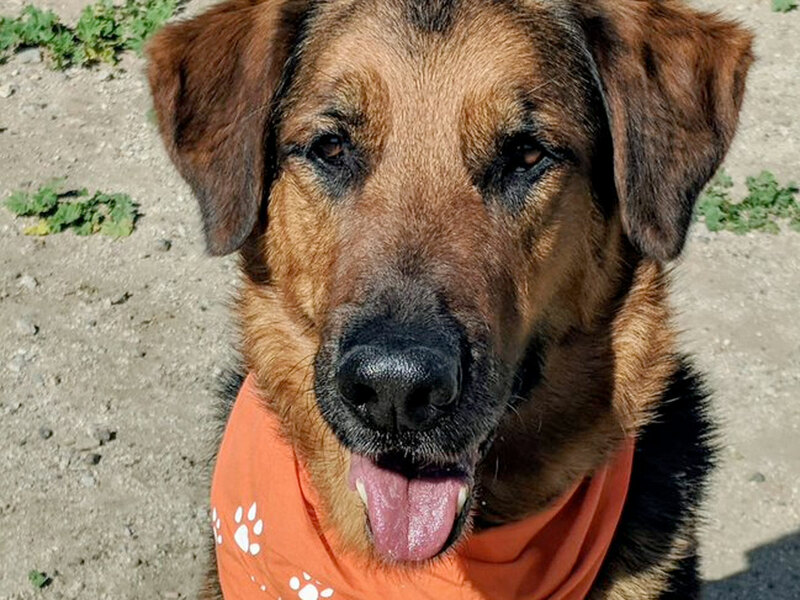 Meet handsome shepherd mix, Porter, today at the Best Friends Lifesaving Center! The Best Friends Lifesaving Center at 15321 Brand Boulevard in Mission Hills is open daily 12-8 p.m. All pets are fixed, vaccinated, microchipped and ready to go home on-the-spot! Call (818) 643-3989 or visit bestfriendsla.org for more info. Garfield. Puss in Boots. Goose. Everyone loves an iconic orange cat. So, let us try to tell you just how amazing ginger gal, Peaches, is. Her name gives away how sweet her personality is, but to meet her is to fall absolutely head-over-heels in love. To look at her now, one would never know the rough journey Peaches endured to get where she is today. 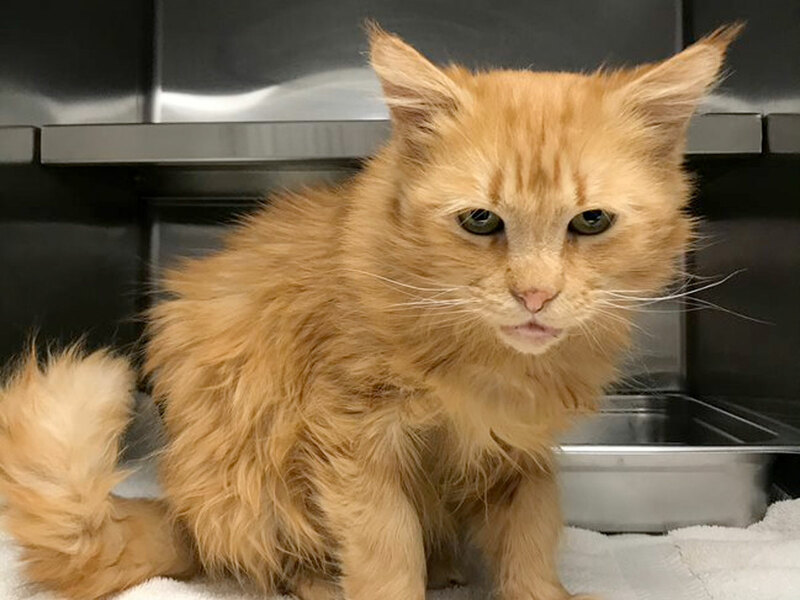 Covered in a crusty skin infection and uncomfortable from severe dental disease, she was in rough shape when Best Friends took her in from the shelter. Thanks to much-needed medical car and much-deserved TLC from a loving foster home, Peaches is back to the radiant, gorgeous cat we all knew she was. Peaches instantly wants to hold a conversation filled with mews, meows and the biggest purrs! Don’t even get us started on her bright pink tongue that sticks out every so often! Adorable much?! Chin scratches? Peaches can’t get enough! Cuddles? Don’t even tempt her! She’ll curl up on any lap within seconds! In short, Peaches is iconic, but in the shelter environment she can’t get the undivided attention and limitless pampering she deserves. Visit the Best Friends Lifesaving Center in Mission Hills to adopt Peaches today! The Best Friends Lifesaving Center at 15321 Brand Boulevard in Mission Hills is open daily 12-8 p.m. All pets are fixed, vaccinated, microchipped and ready to go home on-the-spot! Call (818) 643-3989 or visit bestfriendsla.org for more info.